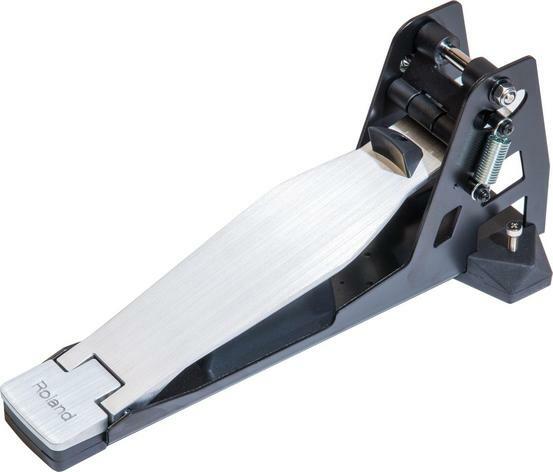 Even when you’re drumming with headphones, the sound made each time you depress a standard hi-hat pedal is sure to disturb anyone near your practice space. The FD-9 is the solution, with a newly developed link mechanism* that gives a marked reduction in operational noise (50%** less in your practice space and 15%** less to rooms below, compared with a standard FD-8 Hi-Hat Controller). For drummers who really need to keep it down, the FD-9 works even better alongside the low-noise mesh heads featured on Roland V-Drums, ultra-quiet KT-9 Kick Trigger Pedal, plus our NE-10 Noise Eater Isolation Boards and NE-1 Isolation Feet.